When you think of aftermarket items for dioramas or just to place around your models, usually you think of resin, or even photoetch. Sometimes companies make items out of plastic, but in any event in order to complete those items, some sort of painting, dry brushing, washes and weathering is needed to make those items look "realistic" (at least in scale). Here's an item that doesn't need much of that. 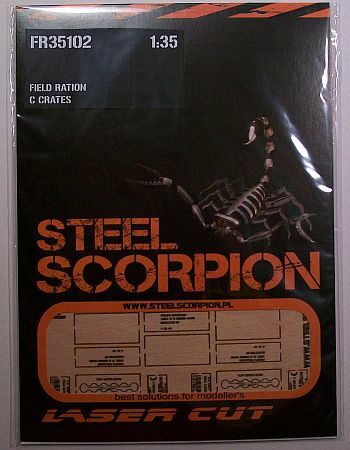 These C-Ration Crates from Steel Scorpion in 1/35 are lazer cut from real wood. Not only that, but there is stenciling applied. About the only thing you might want to do - after assembling - is maybe a little bit of weathering, unless you want them to look like they just came from the factory. The only problem I can see with these is there are no instructions on how to put them together. I'm sure it's not difficult to work it out, but it would have been nice to see something, even if it's just a few photos of the crates glued together. 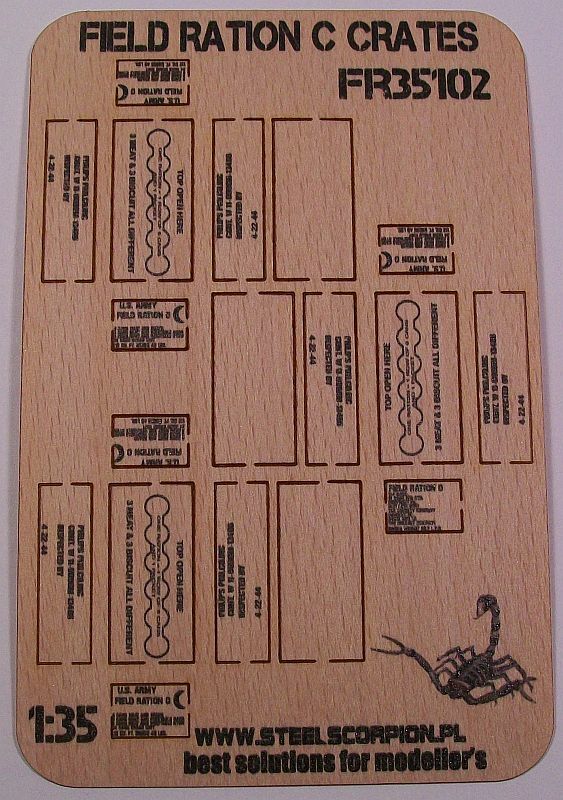 You probably also want to use either white or wood glue to assemble these.